I had the good fortune to attend Showcase Canada Asia in Beijing from October 13-19, which is Destination Canada’s annual tourism product sales event in China. 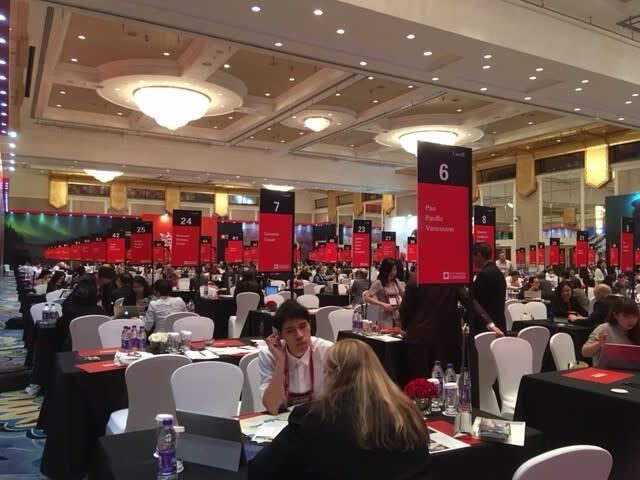 This year, over 150 Chinese tour operators were pitched, speed-dating style in 15-minute product pitches by over 140 Canadian Sellers - we were one of them. I am also happy to report that Team Richmond was well represented with other Richmond based organizations like McArthurGlen Designer Outlet Vancouver, River Rock Casino Resort, Lulu Island Winery, Pacific Gateway Hotel, Canada Berries, Bestcan Tours, Canada CYTS Travel, CCVIP Business and Travel, Larco Hospitality, NTS International, TPI Canada and World Duty Free. China is the second-largest overseas market for Canada, responsible for over 610,000 overnight arrivals in 2016, up 24 per cent year over year. Destination BC is forecasting China to be BC&apos;s largest overseas market in 2017. For Richmond, it is a natural source of overnight visitors with 61 flights per week arriving at YVR during peak season. Based on our Visitor Volume Study in 2015, of the total Asia/Pacific visitors, 37 per cent were from China and 20 per cent were from Hong Kong. Overall (overnight and day trip) leisure visitors from Asia spent significantly more, compared to visitors from other markets, with an average spend of $650 per party per trip. 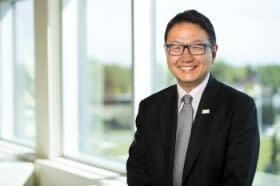 Tourism Richmond had over 94 appointments during the event which was the maximum number any Canadian organization could arrange. It was hectic, fast paced but wildly successful. As a direct result of our attendance, we were asked to coordinate a video camera crew from Hangzhou who are coming over to Richmond in mid-November to film the Richmond food scene, ice wine production and other visitor related attractions. We are also on the short list for a very large incentive travel group coming to Canada in April 2018. Richmond is top on the consideration list for 3 nights of this cross-Canada incentive tour and we met with the local tour operator here to make our case. It is clear that the Chinese visitor is quickly becoming an independent traveler versus a group tour traveler, which bodes well for our destination both for business meetings and leisure travel. As we look forward to 2018, which both the Canadian and Chinese Governments have officially announced as the Year of Canada China Tourism, Richmond is in an outstanding position to leverage our inherent home field advantages. More to come on this in future editions. I’m looking forward to seeing everyone at the Industry Luncheon on November 24 at the Hilton Vancouver Airport. Although seats are selling quickly – over 50 per cent of seats are already reserved – you can still get your tickets today. Join us for an exclusive preview of Richmond’s new destination brand, learn more about our 2018-2020 strategy and bid on excellent silent auction prizes. Don’t hesitate to save your spot, as seats are selling quickly.